This giveaway is now CLOSED. Thanks so much to our wonderful sponsor Amway USA! We look forward to working with you again. The winner is: Jeanne F. Remember: There are great giveaways active on the upper right hand side of the page! Before my recent health scare set me back, I was on a major lifestyle revamp, and had lost 26 pounds and 3 dress sizes very slowly in 2011. I am starting to slowly begin reclaiming my new year and getting back into my routines again! I plan to continue this year to lose more weight, increase my physical activity and of course eat better, pretty much typical New Years Resolutions for most I'm sure. Did you know that it takes regularly consuming 22 essential vitamins and minerals, 10+ servings of fruits and vegetables, and one serving of ocean fish every day to give our bodies what they need to stay healthy and strong? While I do love seafood, fruits and veggies, I am not about to say I can consume that much in one day, (an on the go schedule doesn't always allow for home cooked meals every single night), that's where dietary supplements come in. I take a multi-vitamin daily, but it wasn't until I was sent a package from our friends at Amway, that I realized I wasn't consuming nearly enough fruits and veggies per day. 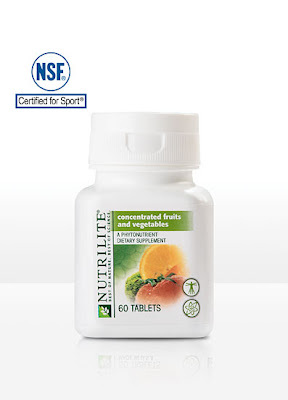 For just over $1 per day, Amway NUTRILITE Concentrated Fruits and Vegetables provide the phytonutrient equivalent of more than 10 servings of fruits and vegetables, the amount recommended by health authorities. Phytonutrients are the natural nutrients in plants that give fruits and vegetables their vibrant colors and respective health benefits when consumed. Supports heart health with 5 apples’ worth of the phytonutrient quercetin (150 mg) and 2 servings of green tea’s worth of the phytonutrient EGCG1 (90 mg). Supports circulatory health with 3 oranges’ worth of the phytonutrient hesperidin (60 mg). Supports colon health with 1 ½ cups raspberries’ worth of ellagic acid (40 mg). Supports eye health with 1 cup raw spinach’s worth of the phytonutrient lutein (6 mg). Supports prostate health with 1 tomato’s worth of the phytonutrient lycopene (3 mg). 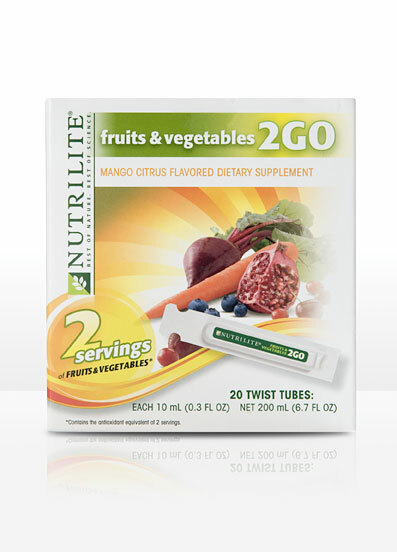 With NUTRILITE Fruits & Vegetables 2GO Twist Tubes, twisting the health benefits of more fruits and vegetables into your day has never been easier. Healthy immune system. Contains the natural vitamin C equivalent of one serving of cantaloupe to help boost and protect your immune system. Eye and skin health. Provides the natural beta carotene of one serving of carrots, beneficial for eye and skin health. Convenient, refreshing, on-the-go nutrition. Slip a tube in your purse or bag and look forward to a delicious Mango-Citrus treat that will help you reach your healthy eating goals. I have definitely felt more energetic since adding the nutritional supplements to my regular daily multi-vitamin. And the 2Go Tubes are great for mornings when I skip my vitamins since they are portable and fit in my purse, I can leave some there so on mornings I forget to take the dietary supplements I have my vitamins with me on the go. Not to mention, it sometimes gets pretty boring trying to drink 8-10 glasses of plain water, the 2Go helps 'jazz' up your water a bit, so you can get in enough fluids throughout the day and stay hydrated. Keeping hydrated is a must even when you are not excercising, and of course most especially when you are! Our friends at Amway want to help you stick with your New Year's Resolutions, especially now, February is where most people find they have lost steam and start to drop their resolutions entirely, don't give up! Win One package of Fruits &Vegetables 2GO Twist Tubes and one package of Concentrated Fruits & Vegetables ($61.80 value) using the Rafflecopter form below, if it doesn't load for you, hit refresh! (You can let me know in the comments below if you like using Rafflecopter and would like us to continue using it, this is our very first Rafflecopter Widget Giveaway!). Start by pressing the big green button that says '+1 Do It' to get started with the Mandatory Entry! I went to AMWAY on FB on my own, because I couldn't get your link to work. Left the comment there as requested! And Girl, if I could chip in I would - you've been thru a terrible ordeal, and my prayers are w/you! Hang in there... & thanks for the giveaway! Maybe the bitly was temporarily glitchy? I just checked it again and it linked me straight there.